Good. 1850107297 ALL BOOKS SHIPPED WITHIN 1 DAY OF PURCHASE! New. 1991. 1st Edition. Paperback. Series: Haynes Automotive Repair Manuals. Num Pages: 318 pages, illustrations. BIC Classification: WGCV. Category: (G) General (US: Trade); (UF) Further/Higher Education; (XV) Technical / Manuals. Dimension: 271 x 214 x 14. Weight in Grams: 394......We ship daily from our Bookshop. Good. VW Beetle & Karmann Ghia (54-79) (Haynes Automotive Repair Manuals) by etc., 1988-09-01. Trade paperback (US). Glued binding. 256 p. Haynes Manuals. New. Trade paperback (US). Glued binding. 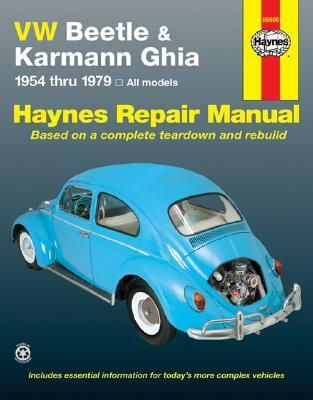 256 p. Haynes VW Beetle (Bug) 1200 Owners Workshop Manual, 36.